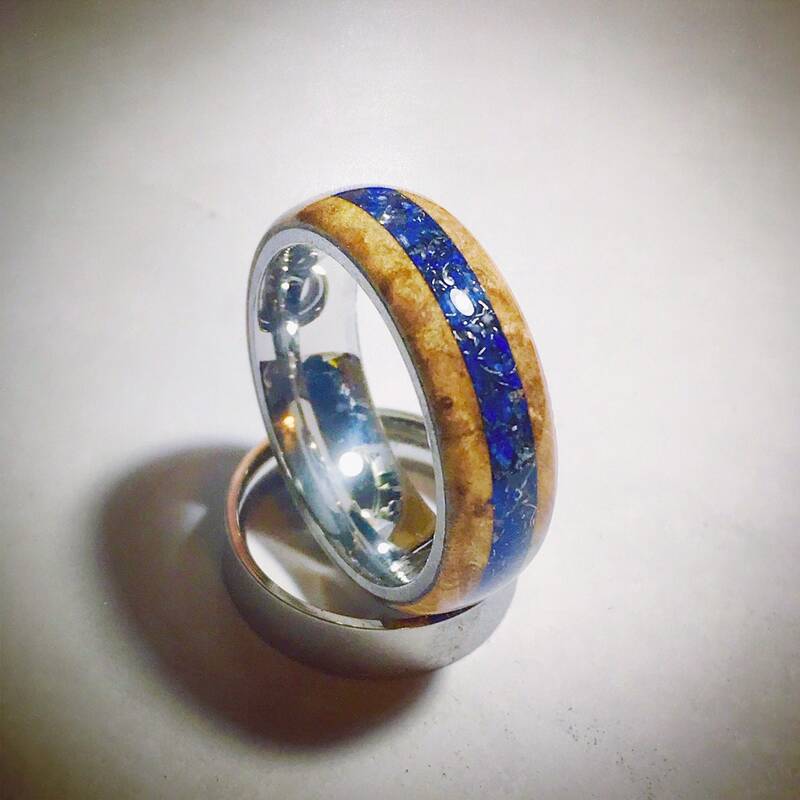 Gorgeous Maple Burl wood wrapped around a titanium core with crushed Lapis Lazuli, and Campo del Cielo Meteorite shavings. This band is 8mm in width, with a comfort core. The Campo del Cielo refers to a group of iron meteorites or to the area where they were found. This area is situated on the border between the provinces of Chaco and Santiago del Estero, 1,000 kilometers northwest of Buenos Aires, Argentina.